Looking for a change of scenery? 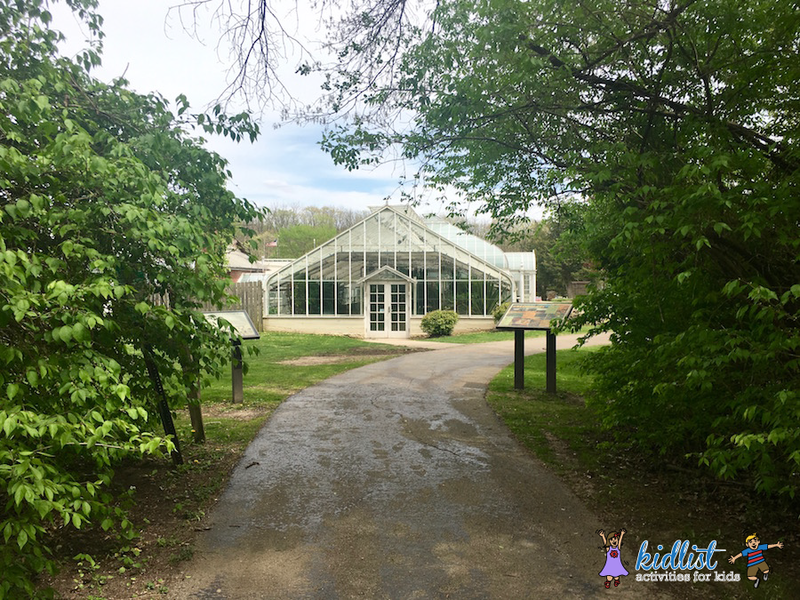 Check out the Bird Haven Greenhouse & Conservatory and Pilcher Park Nature Center! The bird breeder that raised our lovebird, Kiwi, is in Joliet so we made a duel trip to enjoy the area. (Click here to see our cute little bird on Instagram.) 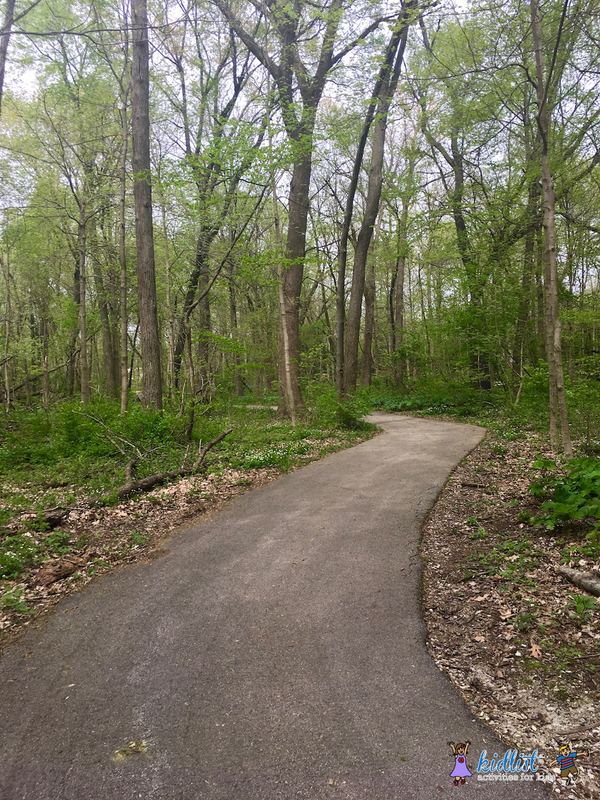 One of the great aspects of Pilcher Park is that there is a paved path between the conservatory and nature center. It’s about a one mile walk, so if you wanted to visit both, it’s a nice way of getting exercise and enjoying nature along the way. We parked by the greenhouse and walked in to find a quaint bridge over a small pond and trickling waterfall. There was also a gazebo with a bench to sit and relax. 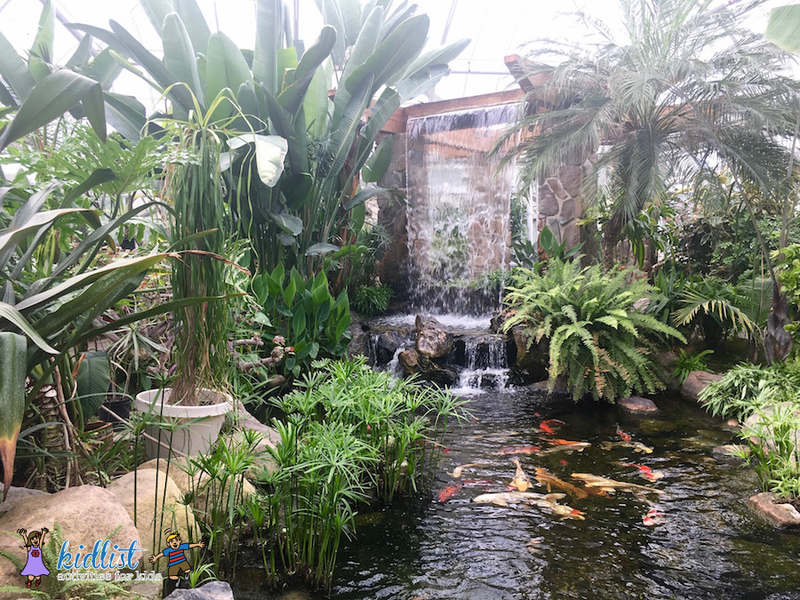 There was also a large waterfall in one of the four greenhouse rooms that empties into a pond with koi fish. The final room has cacti and you can exit to continue on to the paved paths. A map stands outside the conservatory that details the trails, but the path to the nature center is pretty straightforward. 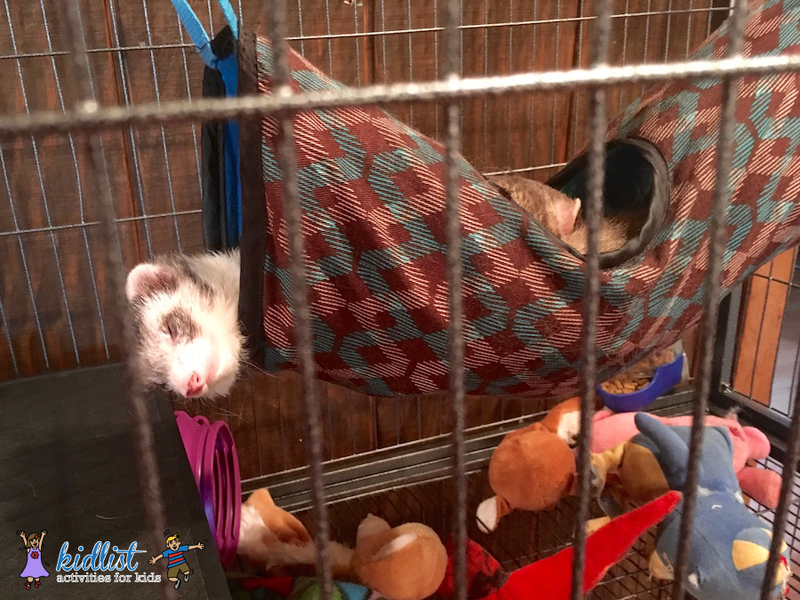 …toads, a bearded lizard, and a ferret that was sleeping in a hammock when we were there! Interested in checking out more nature centers? 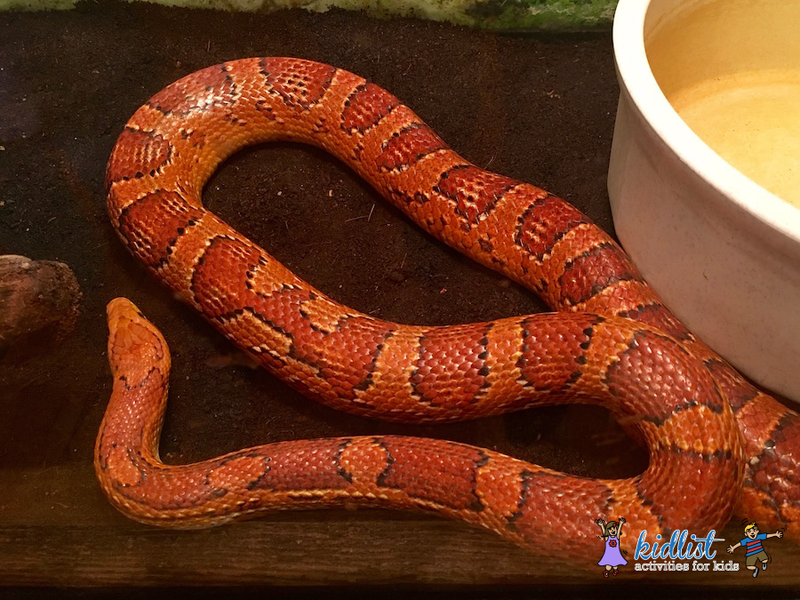 Click here for our extensive list of Chicagoland nature centers with descriptions so you can figure out where to go next! Looking for another duel trip with a conservatory and get park for kids across the street? 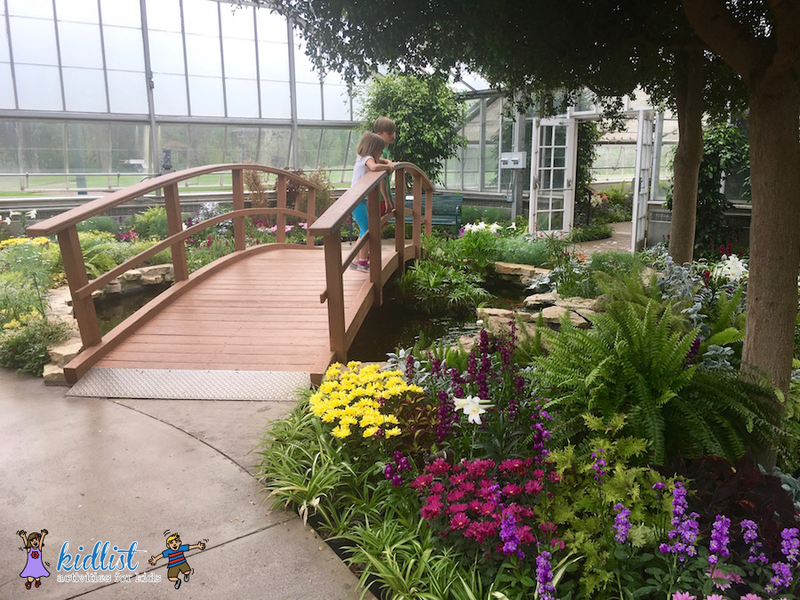 Check out Rehm Park and Oak Park Conservatory! 1 Comment on "Bird Haven Greenhouse and Pilcher Park Nature Center"